For two decades, this universally acclaimed book on sexuality has been the most trusted and accessible resource for kids, parents, teachers, librarians, and anyone else who cares about the well-being of tweens and teens. 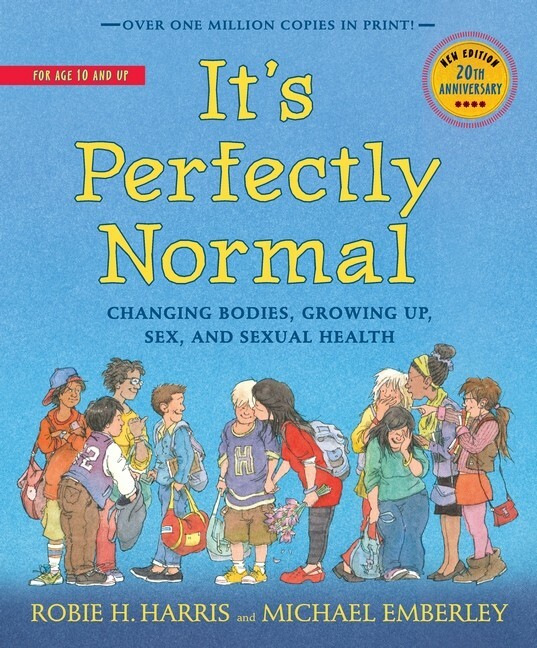 Now, in honor of its anniversary, It’s Perfectly Normal has been updated with current and correct information on subjects such as safe and savvy Internet use, gender identity, emergency contraception, and more. Providing accurate and up-to-date answers to nearly every imaginable question, from conception and puberty to birth control and STDs, It’s Perfectly Normal offers young people the information they need — now more than ever — to make responsible decisions and stay healthy. This author and illustrator have also collaborated on two books about human development geared towards younger children: It's Not the Stork for preschool and younger elementary aged children and It's So Amazing for older elementary aged children.